There are different versions of the tense situation that occurred in Gintota last week. The villagers criticize the media and social activist groups for spreading wrong versions regarding what happened in Gintota and being biased. Daily Mirror visited the affected families of both Sinhala and Muslim communities in the village. 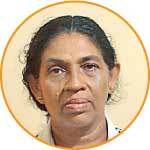 Gintota faced a heavily tense situation with impending riots between Sinhalese and Muslims. The root of the havoc was a very small incident. In an accident where a Muslim mother and child were knocked down by a motorcyclist identified as a Sinhalese was the cause of the violence. The accident issue had already been solved. However, according to villagers, two groups of youth, representing both the communities including the friends of the the accident victim, led to an argument. This issue was personal until those so-called groups allegedly led by a former Provincial Council Member in the area had physically attacked those who earlier engaged in the argument, their houses and some houses of others’ who were not involved in this incident. Affected villagers said the attackers threw acid towards their houses and burnt down a few shops. The day after the attack, the rival group conducted a meeting in the village with the participation of outsiders coming from Boossa and Rathgama. After the meeting, the group began their retaliation by damaging houses, set fire to shops and vehicles belonging to the rival group. 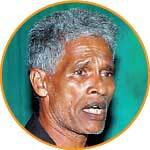 Muslims and Sinhalese have been living in Gintota without any ethnic issues for centuries. People from both communities described how they shared religious and cultural ceremonies and how they helped each other during the natural calamities. “During the last floods, our temple and mosque had joined hands in helping the affected villagers. None showed objection. Everyone gathered to help the displaced people regardless of their race. We buy clothes from the shops that belong to Muslims. Our favourite restaurants are owned by Muslim businessmen. There had never been a disparity between us and them,” 21-year-old Sandun said. Villagers from both communities admitted the fact that former PC member Mohomed Kiyaz alias Kaif Hussain added fuel to the fire. 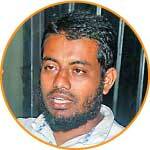 He was later arrested and is now in remand custody on charges of provoking people. The Gintota people said this was a planned political act targeting the upcoming Local Government Elections. 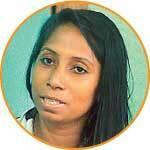 “It was a political clash in the run up to the forthcoming Local Government Elections rather than a communal clash. We questioned the withdrawal of the STF from the area prior the incident on November 17. The sudden withdrawal of the STF led the attacks to worsen. We are quite sure that some politicians must have instructed to remove the STF”. 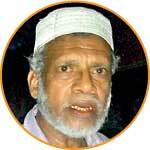 Mohommed Yazir, from Ampitiya, Gintota said. Ariyarathna Gamage, Justice of Peace and a resident of Gintota said the politician in question would have been so desperate to project himself as a hero among the Muslim voters. Therefore he would have created this vortex from a tiny incident. Some villagers claimed that they had noticed an obvious favouritism in providing STF protection. “If you visit the entire village, you could see STF personnel almost in every feet in some areas where the ‘other group’ members reside. But here we have no protection and no one knows until someone kills us. 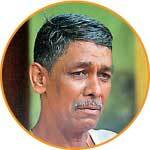 Even in temples, there is hardly any STF or Police security deployed in the aftermath of the riots,” Gamage said. “We had no clue about such accident or brawl until our house was attacked by a group of Muslims led by a politician in the area who expects to contest in the coming Local Government Elections. Mobs led by Kiyaz who was also present in front of my house, were breaking window panes and causing havoc here. When I tried to stop them, they even harassed me. They had thrown acid in to my house. Scars and marks on the floor would bear witness. Fortunately, my in-laws and nephews who were in house during the attack had left and were hiding somewhere safe. “My 17-year-old son was attending a funeral when he was taken into custody on charges of assaulting Muslims. He was an innocent and had no involvements whatsoever with the said brawl that took place between two groups. Due to fabricated charges, he is now at the Child Probation Centre till November 30. I heard people say that was a good place. But, who knows how they would treat my son? “My elder son (25) was sitting on his motorcycle with two of his nephews when a group of Muslims wielding metal poles and bottles of acid attacked him severely. My younger son (21) ran out of the house looking for his brother, was also beaten by the group. They hit my younger son and threw him into a drain. Both had somehow run into the house and the violators threw acid to the house. However none was injured by the acid attack. “Just after hearing the noises of attackers, I took my children and my wife and went to the half built upstairs of our house to hide. The attackers entered my house breaking the gate and the locked door. They did not only destroy my properties but also robbed my wife’s gold jewellery. We were watching the entire incident from upstairs without being noticed by them or uttering a single word. If we did, we thought that they would attack us. A brawl had taken place between two rival groups consisting of Muslims and Sinhalese. Those who have been living in this area had never contributed to any kind of racist, religious or ethnic violence. All were living in unity and harmony for years. We don’t know why we were attacked in this manner.